Steve & His Camera: Watch this slide show! 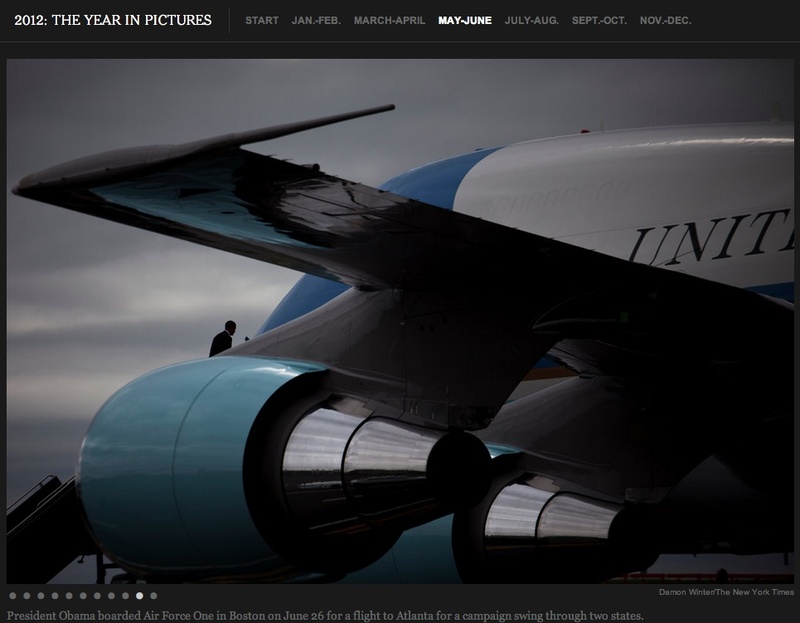 The New York Times has published its year in pictures slide show; one of my favorites is at right in the screen grab. As expected, there are more than a few images chronicling the year past in terms of human suffering, but there are also photos from the world of sports, culture and politics. The lesson for amateurs like you and me: many of these photos are of events that were widely photographed. But photographers often found a way to step back, look around and find a novel way to tell a story with their images. Great stuff and congrats to the NYT's talented photo staff.